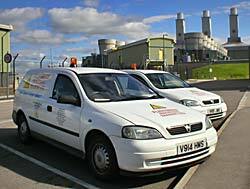 Flintshire Industrial Training offer a complete training package to suit your company’s training requirements. As your local training providers, we will be on hand to answer any questions you may have on the latest HSE developments and regulations. As members of the major governing bodies who provide this information, we are in a good position to pass the information on to you our customer. We provide suitable training courses to coincide with your everyday operational needs and offer training at your premises or at our fully equipped FIT training facility in Deeside.